Ving Rhames is an award-winning American actor; through his stalwart performances in both supporting and lead roles, he has gained critical acclaim in the entertainment industry. With his distinctive bald head and baritone, Rhames is an accomplished thespian best recognized for his star roles in the movies Pulp Fiction and the Mission: Impossible franchise. Over the years, several speculations have been made about the basic facts of the man’s biography just as conjectures about things like his net worth and sexual orientation are varied. Well, it’s time to ignore all the suppositions, here are the facts. 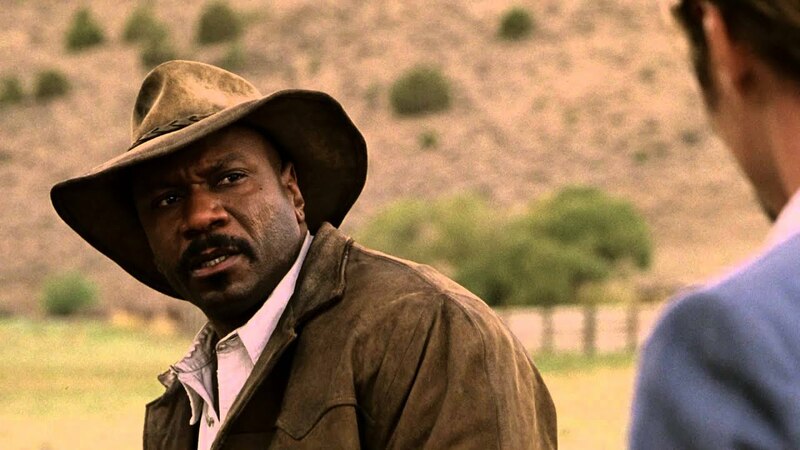 Ving Rhames was born Irving Rameses Rhames on May 12, 1959, in New York City. He attended New York’s School of Performing Art and graduated in 1978. He further studied drama at the State University of New York, Purchase. But after his first year at SUNY, he transferred to New York City’s Juilliard School of Drama, on a scholarship to study classical theatre. After graduating from Julliard in 1983, the classically trained actor made his television debut in 1984 in the drama Go Tell It on the Mountain. Rhames first big break came in the same year after he landed a starring role in Broadway’s The Winter Boys. He has an extensive list of works ranging from supporting roles to lead roles both on stage and onscreen. Disregarding his recurring TV roles in series such as Another World, Miami Vice, and Guiding Light in the 1980s, some of his notable big-screen roles include portraying Jack in the film Native Son (1986) and playing Lieutenant Reilly in the 1989 movie Casualties of War. Ving is best known for his villainous character Marsellus Wallace in the 1994 movie Pulp Fiction, the lead role in Don King: Only in America (1997), and the ace computer hacker Luther Stickell in the blockbuster franchise Mission: Impossible. Besides Tom Cruise, Ving Rhames is one of only two actors to have appeared in every Mission Impossible film (1996 – 2015). His outstanding performance in Brian De Palma’s Mission: Impossible brought him bigger exposure and fame, paving the way for more roles alongside other Hollywood stars. Rhames has worked on other movies such as Con Air (1997), Out of Sight (1998), Entrapment (1999), the remake of the 1978 zombie movie Dawn of the Dead (2004), Perfect Game (2007), I Now Pronounce You Chuck and Larry (2007), A Sunday Horse (2016), Father Figures (2017) and much more. Meanwhile, he continued playing major roles on the small screen including his character as Peter Benton’s brother-in-law in the medical series ER. The man also lent his voice to animated films such as Lilo & Stitch (2002) and The Star (2017). Rhames’ performance in HBO’s Don King: Only in America, won him a Golden Globe Award for best actor in a TV miniseries in 1998. But in a surprising turn of events, the actor handed over the award to fellow nominee Jack Lemmon, because he felt Lemmon had contributed more to the film than himself. With more than 130 credited roles and 3 decades of his acting career, Ving Rhames has not only made a huge contribution to the entertainment industry but has also established himself as an icon. He has earned a good amount of fortune from his creative acting roles on both the small and big screens. Rhames was handsomely rewarded for his dedication to the Mission Impossible franchise which also fetched him a lot of popularity. This bloke has his current net worth pegged at $16 million. In the course of his career, Ving Rhame’s sexuality has been questioned given that he is no stranger to playing gay roles. In the movie Holiday Heart (2000) Rhames played the role of a homosexual black man who performs as a drag queen. He raised more dust about his sexuality after portraying his comedy skills in the 2007 film I Now Pronounce You Chuck and Larry. In the movie, Rhames played the role of a homosexual firefighter alongside Adam Sandler. According to reports, though Rhames agreed to play the gay role, he reportedly refused to shoot an on-screen kiss with his co-star Sandler, an action many described as possibly homophobic. While Ving is often mentioned in the number of straight Hollywood actors who have wildly played lauded roles where the character is gay, he is believed to be sexually straight. At least his marriage and dating history further corroborates his sexuality claims. 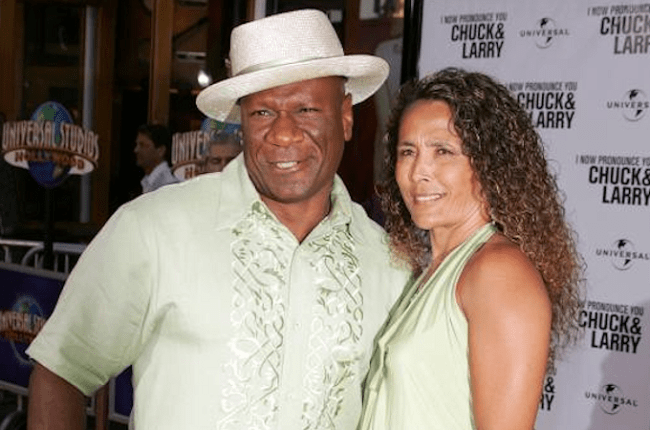 Ving Rhames was married to Valerie Scott in 1994 but after 5 years, the couple divorced. In the year 2000, he married actress Deborah Reed and the union produced two children; a daughter Reignbeau, and a son Freedom. Ving and Reed are also Tiffany’s parents – Reed’s daughter from a previous marriage. Like many other stars, Ving Rhames has been a victim of a celebrity death hoax. Thankfully, the rumours were confirmed to be false and just one of such fake death reports. The Mission: Impossible actor remains alive and well and continues to win more hearts with his dramatic skills.